What was previously reserved for more expensive materials such as granite or marble is now possible in chipboard. 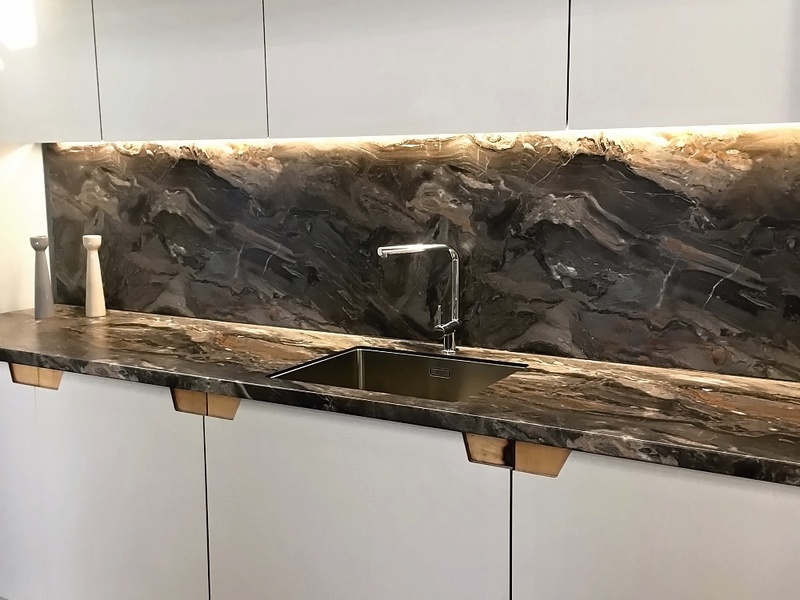 SINK MF are undermounted sinks in a laminated chipboard worktop in such a way, that the surface between the sink and worktop forms a single, perfectly smooth surface. The latest product of Manufaktura Łomża combines comfort of use and modern look. The lack of joints guarantees easy maintenance, the overall effect looks impressive, and is extremely durable and resistant to moisture. What is important, installation in chipboard is much cheaper than in the case of stone worktops. Are you looking for original solutions in the kitchen? SINK MF undermounted sinks are a proposal for those who do not like compromises in home furnishing. SINK MF - a novelty on the market, the hit of Warsaw Home 4Design Days. YOU'LL GET A FINISHED PRODUCT. SINK MF is an innovative sink, but most of all a comfortable solution. You choose a worktop and a sink, and we assemble and ship them as a ready product. You get a worktop with a undermounted sink. This saves you time and money. Our offer includes worktops and sinks of renowned brands. The richness of patterns and colours will allow you to create an interior of your dreams. YOU WILL INSTALL IT IN THE KITCHEN. PATENT FOR A PRACTICAL KITCHEN! 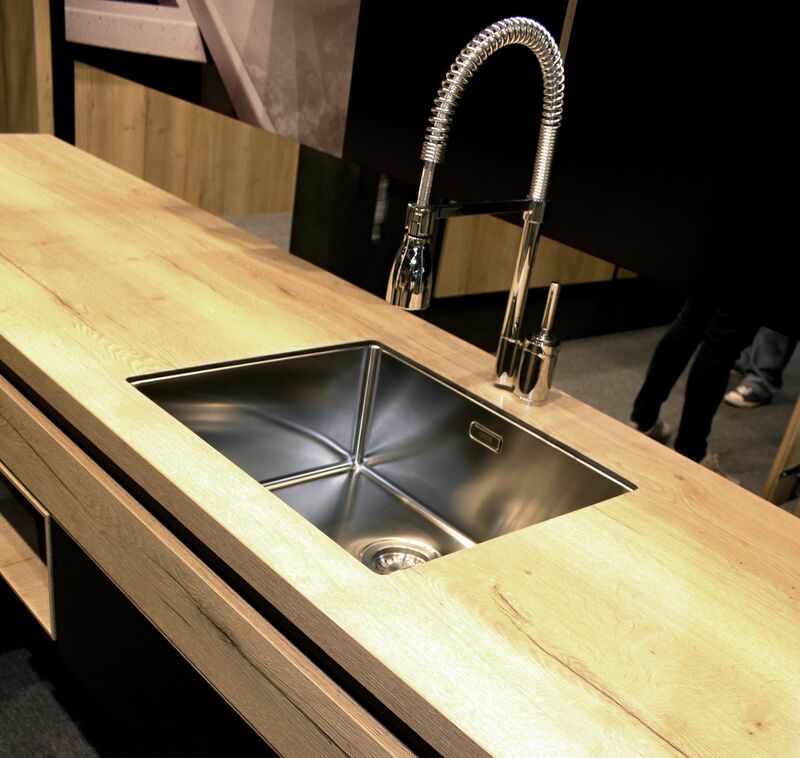 Especially for you, we have developed a unique method of joining sink and worktop without any bends and visible joints. 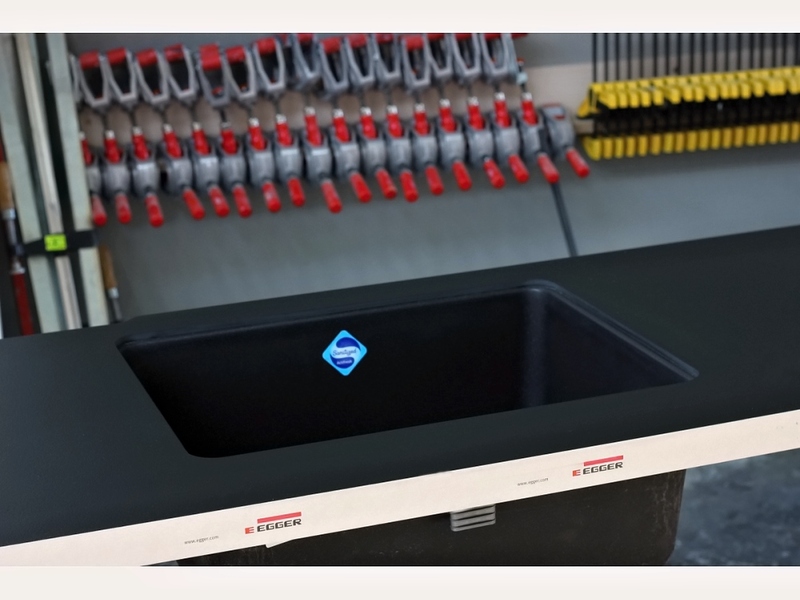 The innovative product SINK MF uses precision and good quality materials, which allows you to install the sink in a chipboard, cheaper than the previously used stone. All SINK MF components comply with the applicable standards and are certified accordingly. The undermounted sink is fully functional, durable and covered by a 2-year warranty. It can withstand a load of up to 150 kg. THESE ARE THE PRODUCTS THAT YOU WILL FIND IN OUR OFFER. We are a manufacturer of furniture fronts and a distributor of well-known brands in the interior design industry, including Egger, Franke, Westag&Getalit AG, Inoxa, Wilsonart, Polyrey, Resopal and Damiano Latini. Our original product are, among others, undermounted sinks SINK MF. Our assortment includes collections of acrylic fronts in high gloss, matt and on plywood core, solid surface worktops GetaCore, GetaLit Compact, HPL laminates with Digital Print option as well as cargo baskets and accessories. We are distinguished by extraordinary style, attention to quality, as well as the ability to tailor solutions for your home to your individual size. We also provide a full range of services for carpenters. We focus on quality. Our offer includes tops of Austrian company Egger and sinks of Swiss company Franke. It is from these that we compose the suspended sinks SINK MF. Would you like to place an order? Go to the online configurator and choose a specific model, sink colour and worktop from our offer. EGGER products are made of raw boards to which the laminate is glued. Thanks to their durable laminate, they can be used as work surfaces, e.g. in kitchens. 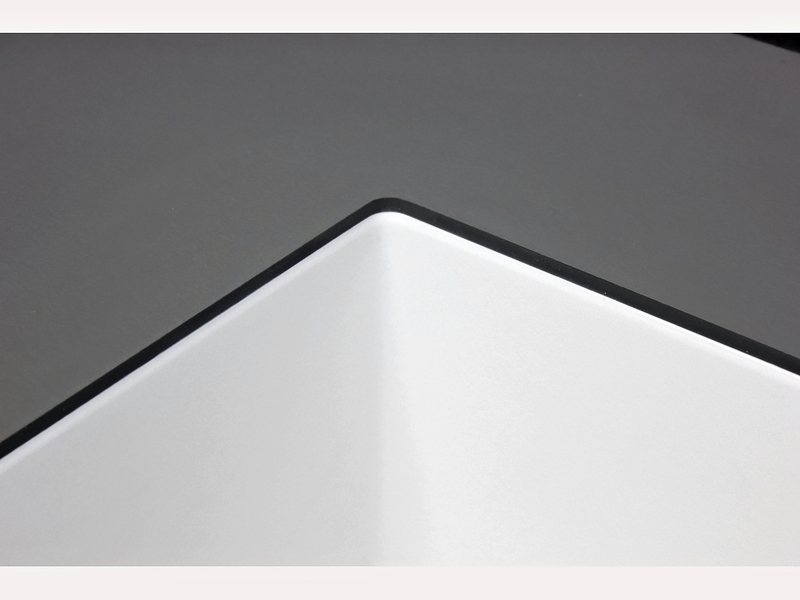 In addition to post-formed worktops, EGGER also supplies a modern model with a straight edge. What is a perfect kitchen without a perfect sink? Franke understands the importance of sinks in everyday work and in the functioning of the kitchen. That is why we offer a wide range of suspended sinks made of many types of materials, in a wide range of colours and finishes. 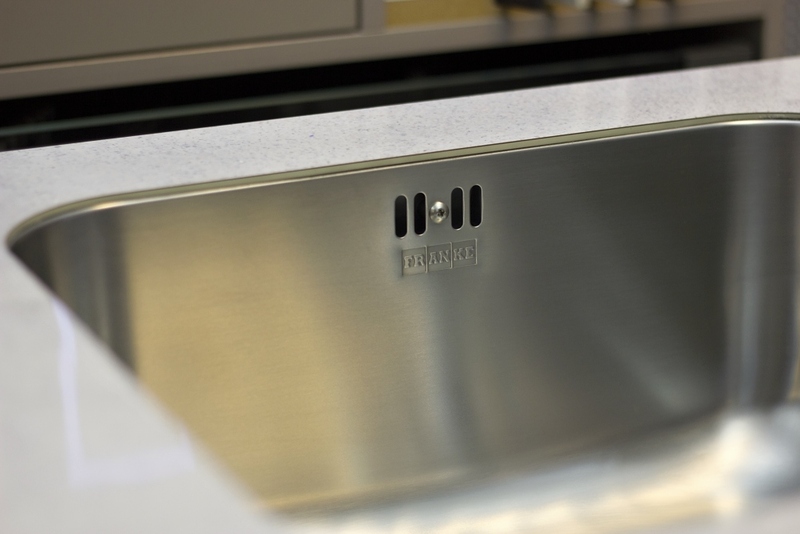 From the best quality materials to exceptional workmanship, Franke sinks offer the quality you deserve. CALCULATE THE COST, CHOOSE YOUR WORKTOP AND SINK. PLACE AN ORDER. YOU WILL RECEIVE THE FINISHED PRODUCT! Use the modern Configurator tool. It will help you to calculate the cost of your order. With it, step by step, you will choose the right size, colour and pattern of the Egger brand worktop and Franke sink. The configurator will also allow you to adjust the top according to your individual needs, allowing you to order a top with options for cutting, veneering, cutting holes, cutting out for joining L and C type tops, machining corners - you only need to specify the dimensions. After determining all the necessary information, you can make the order and make the payment in a convenient way. We will send the finished product to your address - a worktop with a sink suspended from it. The waiting time for the realization of the order is 14 working days (from the moment the payment is posted). You can also order SINK MF by contacting us by e-mail or telephone. Manufaktura Łomża wishes you successful shopping! 1Is the connection between the sink and the worktop tight? Yes, the connection is 100% watertight, water and steam impervious. 2Will I get a worktop with a sink in place? Yes, the service is complex, the sink is already installed, properly glued and sealed becomes an integral part of the worktop. 3I want to order a custom worktop, can I? Of course, we cut the top to size, seal edge with ABS, we can cut out any shape or hole. 4Can water get into the chipboard layer of the worktop? Thanks to a special mixture of resins, the layer connecting the sink with the top prevents water from getting into the chipboard layer of the top. 5What is the maximum load of the SinkMF suspended sinks? 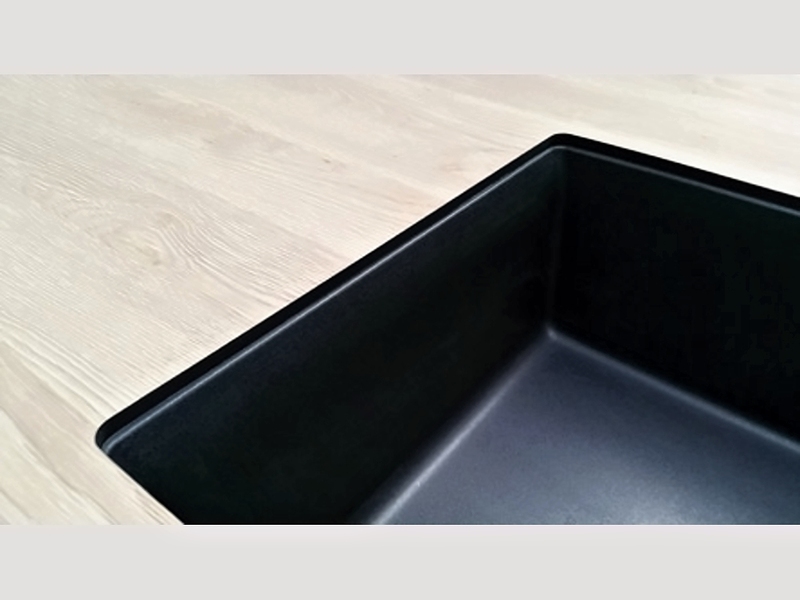 Sink MF sinks can withstand loads of up to 150kg. 6What resin colours are available? Resins are currently available in grey, black, beige and white. 7Should I choose a worktop and sink from the offer available on the website? Yes, we use worktops from the Austrian company Egger and sinks from the Swiss company Franke to install SINK MF. The configurator allows you to choose a specific model, colour and size. 8Does the configurator allow you to choose the size and color of the materials yourself? That's right. Configurator allows you to choose the model, color of materials, and also specify the size of the top, including other holes for e.g. cooktop. The top is adjusted to individual needs by cutting it out according to the given size. 9How to estimate the cost of SINK MF? The cost of SINK MF can be estimated using the configurator. Step by step you should go through the whole process of ordering, selecting, among others, the color, model and size of materials. The estimated cost will appear in the summary. If you want to change the parameters at this stage - no problem. Only after the final approval of the costs, we proceed to the realization of the order. 10What is the order processing time? We proceed to the realization of the order after the payment is credited to the account. Realization takes 14 days. 11 Can I order a measurement service in my kitchen? We do not perform measurement service in the kitchen. You can do this on your own or with the help of a carpenter. 12 Does the product have to be shipped all over Poland? Yes, we ship all over Poland. 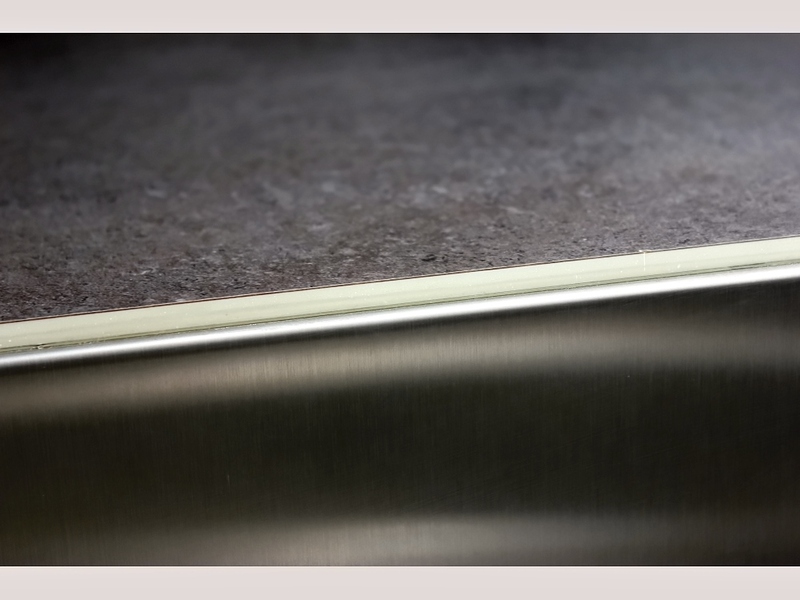 We ship the finished product - worktop with a undermounted sink.